Kappler® Zytron® Z100Zytron 100 garments provide excellent physical strength and basic chemical resistance, ideal for applications where workers need protection from dry particulates and light splash. Color is Yellow. Kappler Zytron Z100 Coverall with Collar & No Elastic. 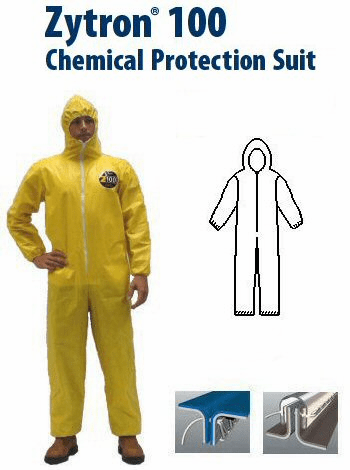 Kappler Zytron Z100 Coverall with Hood and Boots, Elastic Wrists. 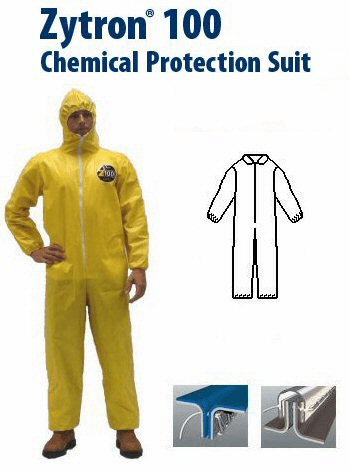 Kappler Zytron Z100 Coverall with Collar, Elastic Wrists and Ankles. 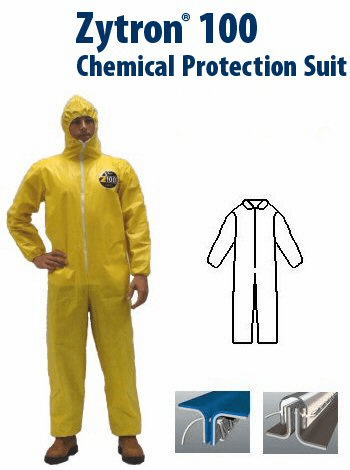 Kappler Zytron Z100 Coverall with Hood, Elastic Wrists and Ankles. Zytron 100 garments provide excellent physical strength and basic chemical resistance, ideal for applications where workers need protection from dry particulates and light splash. Color is Yellow.